PASS CHEAPLY - Save £61 On Your 1st 10 Driving Lessons Today With Our TRY US AND SEE Deal. PASS QUICKLY - With A Grade (A) Driving Instructor We Can Help You To Pass Your Driving Test Quickly. How Quickly You Pass Is Totally Up To You. PASS 1st TIME - Our Driving School Is Very Proud Of It´s 1st Time Pass Rate Of 71%. Make Your 1st Driving Test Your Only Driving Test. Why Did Oliver Groves Choose Alex Durrant Driving School? 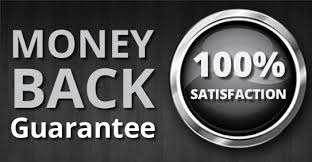 I would recommend Alex Durrant Driving School to others because of the good price for driving lessons and the recommendations from previous customers. 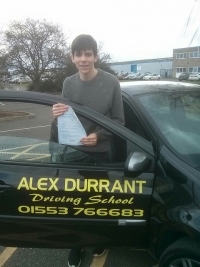 I chose Alex Durrant Driving School for my driving lessons Kings Lynn after seeing the amount of people who had passed with Alex and reading their positive reviews. Alex is a good driving instructor. He made the driving lessons very informative and easy to understand. His method of teaching means every one has a chance of passing 1st time like myself. 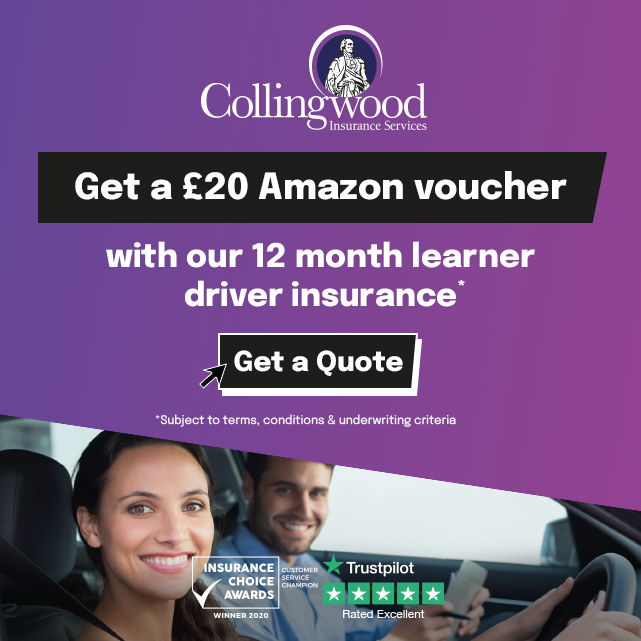 THINKING OF CHANGING DRIVING SCHOOLS? Changing driving schools to Alex Durrant Driving School could be the best move you make for driving lessons Kings Lynn. Our mission is customer success so we prefer to let our customers do the talking for us. Why Did Elliot Blazer Choose Alex Durrant Driving School? The main reason I chose Alex Durrant Driving School for my driving lessons Kings Lynn was because a friend of mine recommended him to me. Alex was always reliable and his good reputation and pass rate were also important to me. I always felt comfortable with Alex, as a driving instructor his teaching methods were very good and the manoeuvres made sense and were easy to rectify. As a result I passed 1st time with NO driving faults. 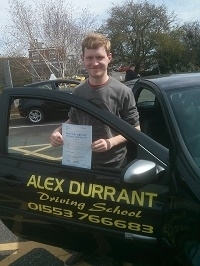 I would definately recommend Alex Durrant Driving School to friends and family. To discuss your driving requirements or to check availability call customer services after 19.00 and talk to Alex or Karen on 01553 766683 any weekday evening.